If you are looking to generate more Real Estate leads from the Internet, our system can help you attract prospects daily! Want more Leads? I know that seems like a silly question but Real Estate Lead Generation is one of the hardest things for many Agents to master. It really is much more simple than you think. Basically you create an ad with a message that attracts leads...then you put that ad in places where they are. We have a fully customizable VERY simple squeeze (or landing page) creator built into our system. What is a squeeze page...here is Wikipedia's definition. 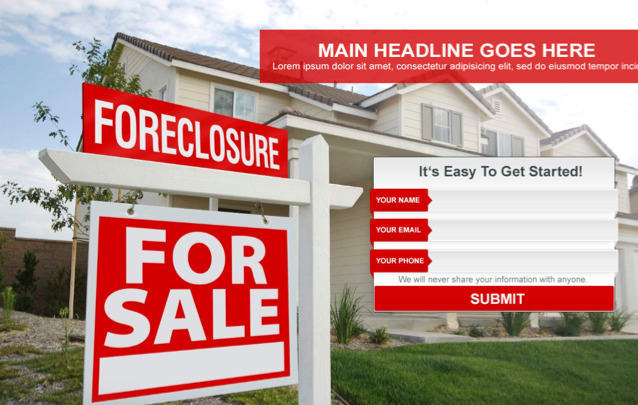 Basically when a consumer hits your Landing or Squeeze Page...they are enticed to put in their information to get something of value from you like helpful tips and tricks or Real Estate listings. So how the heck do you generate traffic? Leave it to the pros and run ads to instantly come up on the first page of Google, Yahoo, Bing or Facebook. 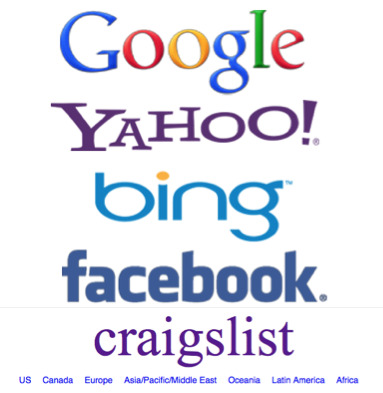 You can also run ads for FREE on sites like Craigslist. You just need to have an enticing offer and land potential prospects on a good looking page that makes them want to trust you with their data because you'll be giving them useful information. Did you know you can actually see what people are searching for? Google has a really cool tool that helps you plan keywords...just go to google.com/adwords and under tools, use the keyword planner. Here is a video blog about it. Once you know what kinds of ads you want to run...simply come into our system and start adding landing pages or "squeeze pages" for it. We have all sorts including a free form one (for you more tech savvy folks) that will allow you to put in whatever you wish. 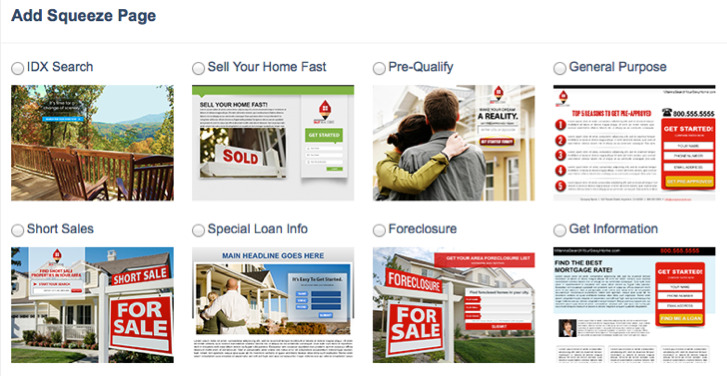 IDX Search squeeze pages are the most powerful for attracting buyer leads. Just use the keyword tool in Google to figure out what searches you want to go after, create IDX search pages for each of those terms...then run tons of ads using those key terms everywhere (hint: running different ads on different search sites and Facebook allows you to refine your budget to maximize dollars spent). I'd recommend spending a consistent amount (for example, $10 per day) so that you can keep refining and consistently generate more Real Estate leads. With our system you can also choose an auto-responder for the ad. That is an email drip campaign that will go out to everyone that comes through that squeeze page. Set up as many campaigns and letters as you wish based on the messaging in the different ads (here's a former post about crm software email drips). So to recap...here is the formula for effective online "Real Estate Lead Generation"
They are included with our "Everything" plan. Feel free to call us at (949) 328-5000 with questions. How can I pay $150 for the everything plan? How do I generate leads through this? Can someone do these for me? What would that cost? My IDX isnt on Agent Marketing yet, so should I do paid ad now?